There is nothing that will make you look more stylish and give you a confidence boost like a nice pair of shoes. What you have on your feet can make or break any look. It doesn’t matter if you have the most amazing suit in the world, if you have bad shoes, you might as well roll around in a puddle of mud. 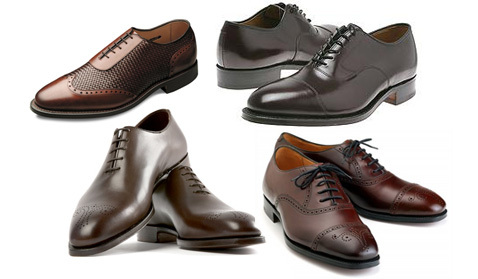 Shoes can get expensive, but if you’re smart about your choice, you’ll be able to wear them for years. Not only that, but the confidence you get every time you put them on will be well worth the price. With shoes, you really get what you pay for. The minimum you should be spending is around $200-300. If that’s too much for you, just remember the rule of “cost per use.” The shoes will last you years, if not decades, and the amount of use you’ll get out of them will exceed the price. 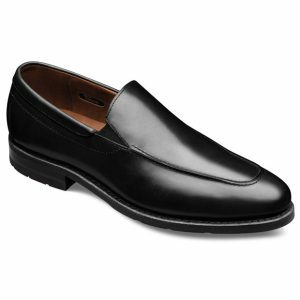 If you need dress shoes for work everyday or you go out on the weekends a lot, then a good pair of dress shoes is of monumental importance to your outfit. With shoes, it’s all about quality, quality, quality. It’s better to have two or three pairs of good shoes that will last a long time than to have fifteen pairs of generic-looking bargain brands. How do you know what’s quality? Black will always be dressier than brown. If you’re suiting up for a board meeting or a formal event, go with the former. If necessary, however, you can pair brown lace-ups with suits – especially navy or charcoal – as long as they’re scuff-free. Glossy leather is the fail-safe choice, but you should feel free to experiment with suede – starting with a pair of classic bucks and progressing to exotic materials like alligator and ostrich or the growing number of antiqued leathers. An elongated toe is unequivocally classier than a square. That doesn’t mean all your lace-ups should be pointy – lots of elegant cap toes have squared-off tips – but unless you’re aiming for mid-nineties nostalgia, no shoes you wear should have a blunt, squared-off toe. I suggest staying away from them. Well-made lace-ups should have a close welt – the seam where the upper meets the sole and creates the outer edge of the shoe. It should be visible, but it shouldn’t extend so far past the edge of the shoe that it creates a ledge. 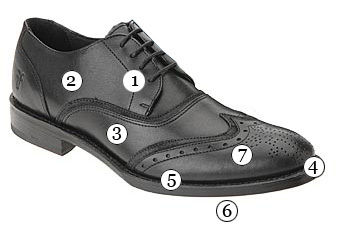 A thin sole is the hallmark of a cheap shoe – plus, it not only looks cut-rate, it wears out more quickly. Yours should be at least a quarter-of-an-inch thick and preferably leather, not rubber. Traditionalists will tell you that the more broguing – decorative stitching and perforated and serrated edges – a shoe has, the less dressy it is. But while it’s true that heavily embellished bucks look better with sport jackets and tweed than with pinstripe suits, this rule is flexible. The cap-toe is the dressiest and most popular of all the business shoe styles. It looks best when worn with the more serious suit fabrics and styles. If you get one in brown, wear with navy suit, or an earth-toned suit of olive, brown or tan. Black is fine with all of the serious dark colors of gray and navy but not at all with any of the earth tones. Cordovan is the one color that seems to go with everything except black – and is understood everywhere. If you want more information on choosing a suit to fit you, read our article on finding the perfect one for you. The plain-toe is less dressy and more simple. It’s appropriate for all business settings. If you’d like to read more on dressing for work and office attire, read our article here. The loafer has moved beyond its preppy roots. Wear this basic with any casual look involving jeans or trousers. The driving moc was invented to let you feel a car’s pedals better. Now it’s an alternative to wearing slippers in public. You can find upgraded ones like this one that are more elegant. Best worn with khaki shorts in the summer with no socks. Check out our article on dressing for summer here. 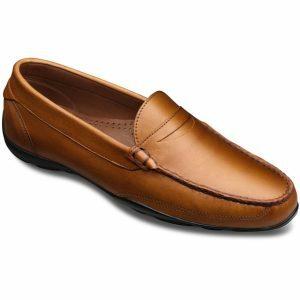 Classic version of American’s contribution to footwear. The perfect combination to the other American casual standby – the blue jean. Can be plain and simple or elaborately tooled leather or made from the exotic skins of ostrich or reptile. 3. Almost everyone has one foot larger than the other, usually it is the right foot; fit the shoes to the larger right foot. Do not rely soley on the size you have always worn. Different makes can vary significantly from each other, even though the numeric size is the same. 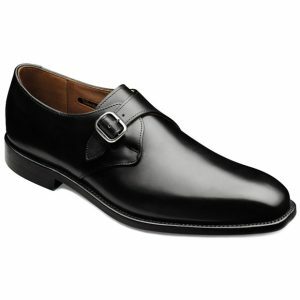 Always try them both on, walk around in them, and buy them by how they feel on your feet – not just by the size. For the best deals, visit department stores, wholesalers, and outlet malls. Don’t shy away from buying shoes on clearance, either. 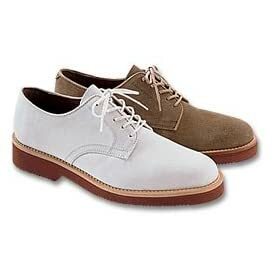 The only thing these shoes are usually guilty of is being a season or two “out of style.” But honestly, when you get out on the street, nobody can tell the difference between a 2005 Kenneth Cole oxford and a 2007 Kenneth Cole oxford. 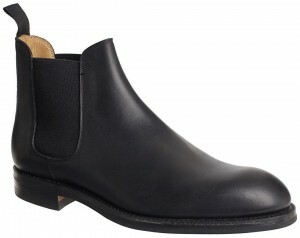 In your opinion, how important are shoes to a look? Share with us in the comments! If you liked this article, please share it on digg or give it a thumbs up on Stumbleupon! Thanks!